I thought I’d share some of my ramblings on long-distance triathlon vs ultra trail running. I should first point out that this is simply a few comparisons. I am not implying that one is better than the other. But I have immersed myself in both long enough to provide the following (personal) considerations. For those who don’t know; an Ironman-distance triathlon is (within margins) a 3.8km swim, 180km bike and a marathon run. Time is taken from the start of the swim to the end of the run and it will usually start in the sea or a lake. Ultra runs are technically anything over a marathon distance. More commonly they will range between 50km and 100 miles, although many can be much longer and take place over several days. A little on my background : I first started taking part in triathlon back in 2001 following a few years as a runner (to marathon distance). I was very much mid-field for my first couple of events but after getting my head in the books, took courses and optimising my training I progressed well in speed and distance racing in Ironman-distance triathlons from 2004, and reaching pro/elite level for 2008-2010. I continued for another year, before switching to Ultra (trail) running. This was a cross over year as I dipped my toes in the sport and tried some individual challenges. I continued as an Ultra runner through to the summer of this year (2014). Both Ironman and Ultra running of course require a fair amount of training. I’ve seen people comfortably complete Ironman-distance races and Ultra runs of c.50 miles averaging 1 hour/day. But if you want to optimise your fitness then you need to train a little more. Ironman Pros can commonly train as many as 30hrs/week or more. I personally found that anything over 15hr/week started to have a negative impact on me, so I refined my training and just included the occasional heavy, block period. Of course some people can handle more training than others, a lot of that comes down to age, background, lifestyle (family, work commitments) and general health. When I switched to Ultra running I found my weekly average gradually dropping to around 9-10hrs/week. As an Utra runner you’ll generally be doing less hrs/week of training. Even with other activities to buffer the running sessions, the body can only handle so many hours (or miles) of running each week. It’s much harder to get a comparable time to triathlon training which is of course split between three sports. The drop in training hours was one aspect I found difficult to handle when making the switch from Ironman to Ultra running. I felt I should be training more and this may have contributed to an increase in injuries and illness as I tried to maintain similar training levels to previous years. Age plays a great part to. Some will argue that years of training will condition the individual to handle more hours, including greater intensities, with the ability to recover more quickly. The counter argument of course is that there is an accumulative degenerative affect on the body. Add this to the ageing process, particularly the weakening of joints, and you could find yourself continually recovering from injury. Tendinitis is a good example of an age-related condition that will affect your training. This is more of an issue for the ultra runner than it is for the triathlete, as you can sometimes use swimming and cycling as a replacement for running when injured. For many years I have taken weekly averages of my (morning) weight and resting heart rate. As well as occasional fat calliper & circumference tests, and monitoring my resistance workouts in the gym I have a good idea of how my physical composition has changed over the years. You could say aesthetically speaking triathletes look the more toned. An ultra runner should not neglect core and resistance work, particularly for off-road and hilly running. But swimming can certainly add a little weight. During my Ironman spell I would reach a racing weight of around 71-72kg (73-74kg off season). For the record my height is 5ft11 (182cm). I’d refined my diet during 2010 and managed to ‘fat strip’ and get down to 70kg. This was about the minimum I would reach and the best shape I have been in, on 6-7% body fat. In the following years while training for Ultras (between 50 and 100 miles) I dropped further to 68-69kg race weight (70-72kg off-season). This was down to a loss in muscle mass, mainly from the upper body and partly the upper leg muscles. I was skinny…thank god Ultra runners don’t wear lycra. Both sports allow you to compete in national and international championships for your country. 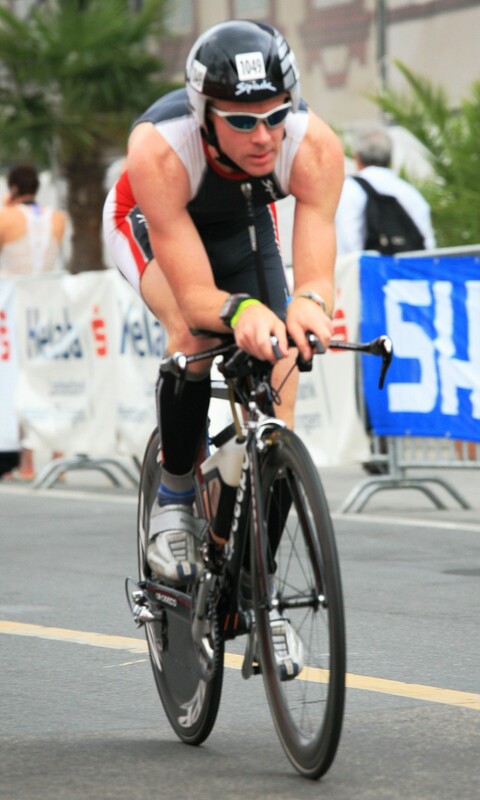 Some people are put off by the drafting that can take place on the bike in Ironman-distance events, myself included. Its arguably becoming even more prevalent as entry numbers increase. I competed once for GB in triathlon (European long-distance champs) and after having 20 cyclists drafted me on the bike, it put me off wearing the vest again. In a number of cases you can’t blame the cyclist, especially if the numbers on the road are too big. That would be the organisers and/or marshals responsibility. Cheating is generally not a problem you’d get in Ultra running although there have been incidents I’ve heard of involving people deliberately or by accident cutting courses short. I’ve usually found ultra runners to be very honest people, and part of the enjoyment and challenge of the sport is the completion of the distance rather than beating your peers. It’s difficult to compare standards between the two but I would say triathlon has a greater standard overall, particularly at the top end. If you are a good ultra runner you can find yourself logging podium places in most races. But to win a triathlon, particularly shorter distance, you have to be pretty sharp. This is to be expected of course as triathlon is a much greater mass participation sport, and attracts a lot of younger talented athletes. Most Ultra runners usually come into the sport a little later in their career, trying to find new challenges over longer distances. On a national level therefore I’d say that the smaller Ironman-distances are comparable with the bigger Ultra running races. Internationally it is a different matter with some events in both sports attracting a huge number of the very best in the world. The cost of racing has risen dramatically over the last 10 years. A good rule of thumb for standard Ultra running races I find is £1/mile. Any more than that and you’d have to question where your money is going. Of course some are run over a number of days and you have to factor in the costs of hiring facilities, food, etc on top of the costs of road closure, first aid etc. If it’s a big international event then the costs can rocket even more. I’ve seen Ironman-distance races going ranging from £200 for the smaller events, to £300-500 for a Challenge or Ironman branded event. Factor in travel, accommodation and other expenses and you could easily be spending £1-2k, double that if you are competing in something like the Hawaii Ironman Champs, Marathon de Sables, etc. As for the cost of equipment, Triathlon is arguably an expense sport. As a high mileage runner you may get through a small number of shoes a year and have to occasionally update your closet. But in triathlon terms, bikes (and associated equipment) and wetsuits are very expensive. And everyone seems keen to keep upgrading equipment and have the latest technology. At the time, my Ironman race bike would be worth around £3k (almost half of that on the wheels alone) which I thought was enough to ensure I wasn’t really giving anything away to my peers. Some people were spending almost twice that, and £4k plus is quite typical these days amongst most age groupers looking to upgrade. Everyone has there own reasons for competing in both Ironman races and Ultra running races. Some people take part simply because of the lifestyle and to lose a little weight and get fitter. For some people the challenge is to complete the distance, which is common in terms of Ultra running or Ultra Triathlon. And they then may wish to challenge themselves to something harder and/or longer. The competitive type will usually shoot for positions and times and/or try to qualify for national and international events. Personally speaking, and I expect this goes for most, I was a little of both. When I first started triathlon I wanted to tick the boxes off moving from sprint distances, to olympic, then half and full Ironman. Once I’d completed an Ironman-distance event I wanted to get quicker and see how fast I could get. Once I felt I was closet to an optimal level and had achieved my targets I felt it was time to try something different. The great thing about training and competing in the likes of long distance triathlon is the sense of well being and general fitness it can give you. You feel like you can achieve anything. 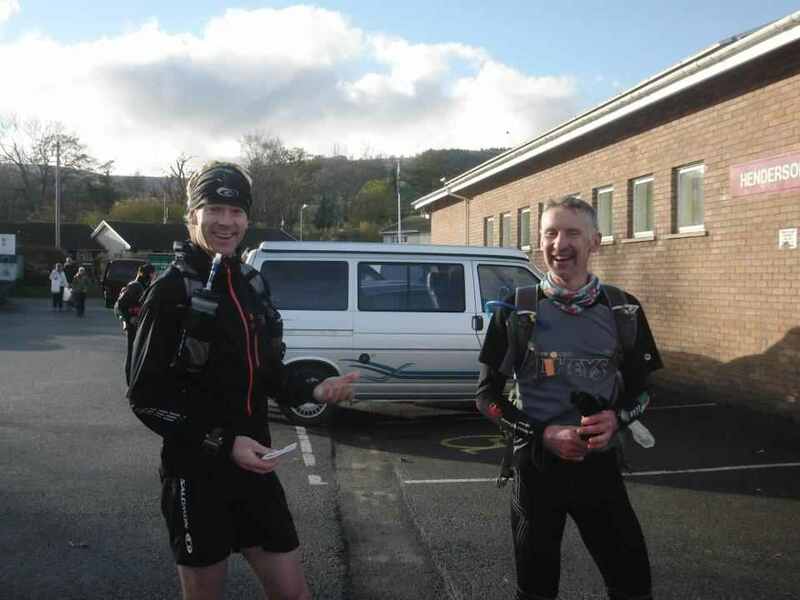 In a 6 week period I did a sub9 Ironman, completed my first double Ironman, and then thought I could run the 176 mile Offas Dyke national trail in one go, unassisted. Unfortunately that never happened, as I limped out, somewhat with my tail between my legs. But I’d covered c.75 miles and had one of the most amazing experiences. A bit like running my first London marathon; running over hills and through the countryside on a clear night (full moon) was an experience I’d never forget. It was still an achievement, and it gave me the desire to pursue Ultra running further. It’s quite funny sometimes to look back at this and the kind of training sessions I was doing, which I definitely couldn’t handle now. I have to say I’m in awe of what some people put themselves through in terms of Ultra running. That goes for Ultra Triathlon too. There are events out there that are run on a continuous or concurrent basis that last for many days e.g. Deca Ironmans (10 x the Ironman distance), or Ultra runs over several hundred miles. I’ve met some very strong willed people that put themselves through a lot of physical and mental pain. When I first ran marathons I thought that ‘hitting the wall’ (generally regarded as the period towards the end of a marathon when a runners glycogen stores are depleted) was as bad as it gets. It doesn’t come close. I think the worse I have personally felt was during my first 100 mile running event (Caesars Camp 2011) when (and this might sound strange…) the process of just thinking tired me out! I hadn’t just hit the wall, I had completed emptied my body and my mind was now lacking the energy it required to function. It was hell, and it seemed to drag on forever. And when it happens to you, you think you have it worse than anyone else. But that’s not the case. Some people will literally drag themselves to a finish line to get their medal. This is quite common in an Ultra running event, particularly for races approaching 100 miles or more. Surely this makes the sense of achievement even greater(? ), as well as adding to the occasion and camaraderie. You can of course challenge yourself in Ultra running without entering a race. Find a national trail or plot a course and see how quickly you can finish it. I enjoyed this more than racing. 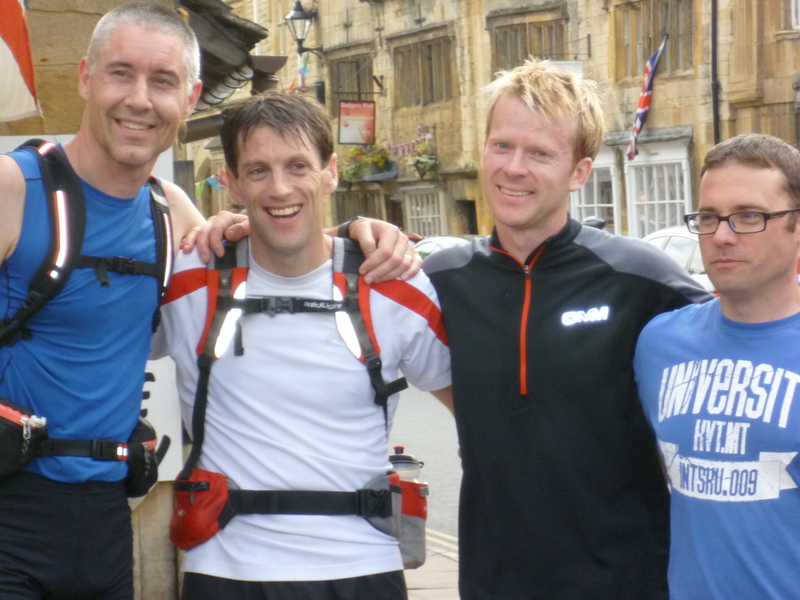 Running the Cotswold Way National Trail in 2012 with the support of friends is another experience and achievement I will never forget, and I recommend this to anyone as another challenge. I wouldn’t want to advocate multi-day or night time ultra running to anyone without mentioning safety of course. But all being well there can be an even greater sense of achievement than in race situations. And it’s all done on your own time. The sense of achievement very much comes down to the individual. What I will say though is if you think a race looks tough, you can guarantee there will be something out there that’s a lot tougher, if you look for it. Overall I have had so many great experiences in both Ironman racing and Ultra trail running, meeting some inspiring (and crazy) people. Yes, maybe I could have trained harder, performed better in races, perhaps rested more when injured. But hindsight is a wonderful thing, and part of the fun is actually pushing yourself and realising that there are no limits, and you can become the athlete you want to be. Never too old. Although I am thinking of taking up dominoes next..